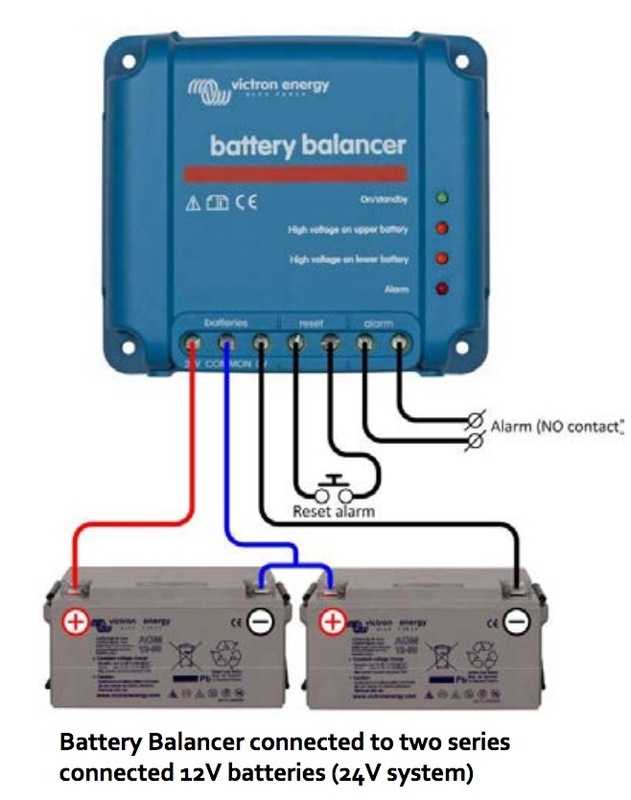 Victron Battery Balancer equalizes the state of charge of two series connected 12V batteries, or of several parallel strings of series connected batteries. 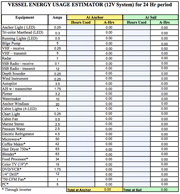 When the charge voltage of a 24V battery system increases to more than 27V, the Battery Balancer will turn on and compare the voltage over the two series connected batteries. The Battery Balancer will draw a current of up to 1A from the battery (or parallel connected batteries) with the highest voltage. The resulting charge current differential will ensure that all batteries will converge to the same state of charge.